Jonathan Cohn is a veteran journalist who specializes in politics and domestic policy. 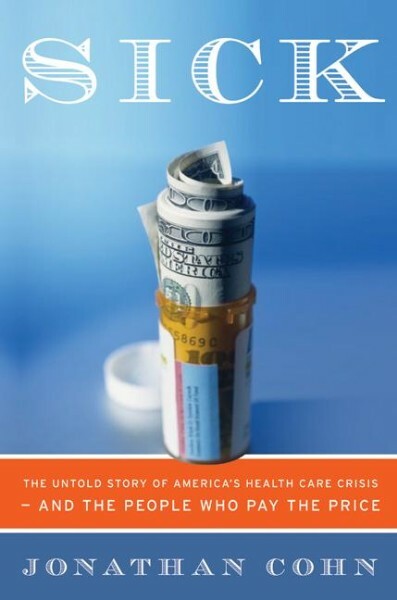 His primary focus, health care, is the subject of Sick: The Untold Story of America's Health Care Crisis - and the People Who Pay the Price, a book that serves as the definitive guide to the forthcoming debate over whether, and how, to reform the U.S. health insurance system. Sick won the Harry Chapin Media Award, which recognizes the year's best coverage of poverty-related issues. It was also named a finalist for the New York Public Library's Helen Bernstein Book Award for Excellence in Journalism, and a finalist for the 2008 Robert F. Kennedy Book Award. The Chicago Tribune listed Sick among its "Best Books of 2007." Widely respected for his engaging writing style and ability to make complex issues seem simple, Cohn is a lively speaker who particularly relishes opportunities to make a case for his generally (but not always) liberal views to more conservative audiences. Since the publication of Sick he has become a widely sought after speaker and has given talks to health care companies and organizations and activist groups across the country. Cohn is a senior editor for The New Republic, the political magazine where he has been writing and editing articles for 10 years. 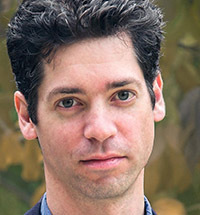 He is a contributing editor of the American Prospect, where he once served as the executive editor, as well as a senior fellow at Demos, a think-tank based in New York City. Over the years, his articles have also appeared in the New York Times, the Washington Post, Rolling Stone, Slate, Mother Jones, and the Washington Monthly. Sick is the product of original research and reporting that spanned five years. In the book Cohn introduces readers to eight average Americans struggling to find affordable medical care, then follows them as they deal with the (frequently tragic) consequences. Along the way, he weaves in a comprehensive history of health insurance in America, going back to its origins in the late 1920s. He ends with a look to the future – and the fate that will befall even more Americans if medical coverage continues to deteriorate. Cohn provides a detailed argument in favor of universal health insurance, financed by taxes and administered by the federal government. As a political correspondent, Cohn has gotten to know and written about some of the nation’s most intriguing figures: His 2002 New Republic profile of Howard Dean introduced the then-unknown Vermont governor to the nation; his 2003 profile of Bill Frist was the first to plumb the senator’s medical career for insights into his political views. Other areas that Cohn has covered extensively include globalization, labor unions, and media bias. Work-family issues are another frequent subject of his writing: One of his most popular articles remains an essay he wrote about his efforts to balance fatherhood, career, and respect for the work of his wife, who has a Ph.D. in industrial engineering. Cohn is a graduate of Harvard University, where he was president of the Harvard Crimson, and a past media fellow with the Henry J. Kaiser Family Foundation.He grew up in South Florida and spent most of his adult life in Boston. He now lives in Ann Arbor, Michigan, with his wife and children. “Sick delivers. Its eight expository chapters deftly interweave discussions of health care policy and history with personal stories of people who have been pricked by the system’s sharpest brambles, with each story humanizing a specific shortcoming of our crrent system.